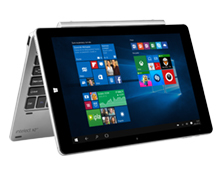 Intelect X2, a follow-up of the X1 series, is a powerful laptop with tablet features. It is going to become your company all day long. Wish to browse newscasts on a tablet in the morning? Simply detach the keyboard. 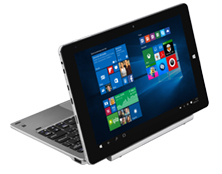 Need an efficient and mobile hardware to create documents? 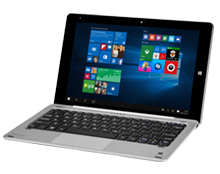 Attach the keyboard and start working on a typical laptop, owing to Windows 10. Crave for relaxation while leafing through blogs, watching movies, playing games or shopping in the afternoon? Connect, disconnect and rotate Intelect X2 elements as you please for your comfort. Inside, Intelect X2 HD features 4 GB RAM memory and a NAND Flash 64 GB disk – twice as much capacity as in the previous model. 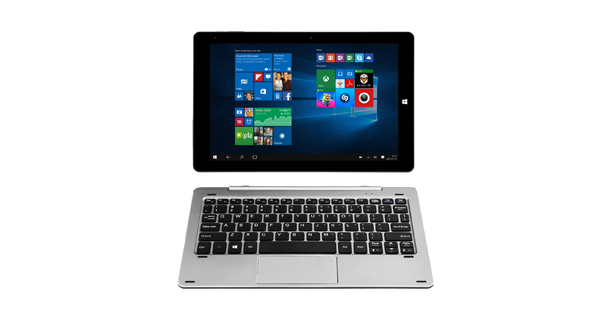 It allows you to fully leverage capacities of Intel Atom x5-Z8300 processor and Windows 10 Home operating system, thus guaranteeing efficient work and stability even if dealing with several tasks at once. 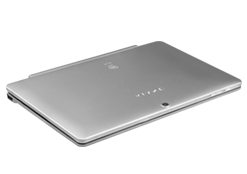 Kiano Intelect X2 HD has also gained a new look. 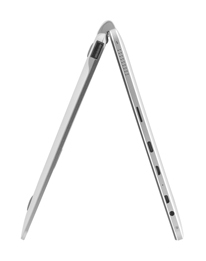 The 2-in-1 device is enclosed in a precisely finished, ergonomic, silver-coloured body. A metal structure guarantees resistance and more efficient heat distribution. Visibly improved technical parameters at reduced weight in a yet thinner version – the new Kiano Intelect X2. ATTACH AND DETACH THE KEYBOARD, SET THE DEVICE IN VARIOUS POSITIONS!